Our <a href="http://symposium.co.uk/current-conferences/graduate-recruitment-and-development-forum-2016/">Graduate Recruitment and Development Forum 2016</a>, on 25<sup>th</sup> February, at Hilton Hotel, Canary Wharf, London, and will now feature a session with Jonathan Barker and Kerry Lale from Google. A recent CIPD report has highlighted the mismatch in graduate skills due to growth in graduate numbers. However as graduate vacancies continue to rise employers are still facing fierce competition to attract, recruit and retain the brightest graduate talent with the skills to take their organisations forward. 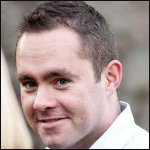 Jonathan Barker is staffing manager at Google. Our Graduate Recruitment and Development Forum 2016, on 25th February, at Hilton Hotel, Canary Wharf, London, and will now feature a session with Jonathan Barker and Kerry Lale from Google. Jonathan Barker is a staffing manager at google for Europe, the Middle East and Africa – responsible for hiring all of the technical people at Google across that region. He has worked in Google’s London office for the past nine years and has seen thousands of ‘Nooglers’ join the company in that time. Before joining Google, Jonathan worked at several recruitment consultancies, hiring technical people into consulting companies and investment banks in the UK. Kerry Lale is the tech staffing programs manager for EMEA, Google, running the teams responsible for hiring all technical interns across the engineering offices in EMEA and the university outreach team, who run all activities on campus. Kerry has been with Google since 2011 and has seen the intern programme grow exponentially over that time frame. Before Google Kerry’s career was mainly in the investment banking sector. 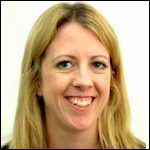 Kerry Lale is tech staffing programs manager at EMEA, Google. Their presentation shall take an in depth look at how you can ensure recruitment underpins your company values. Other sessions on the day will be covering: the mismatch between skills and qualifications; tech savvy generation; latest in social media and new technology strategies; and maximising social mobility through attraction and selection strategies. Visit the event page to find out more about Jonathan and Kerry, along with other expert speakers that will be speaking at the Graduate Recruitment and Development Forum 2016, and book your place today.